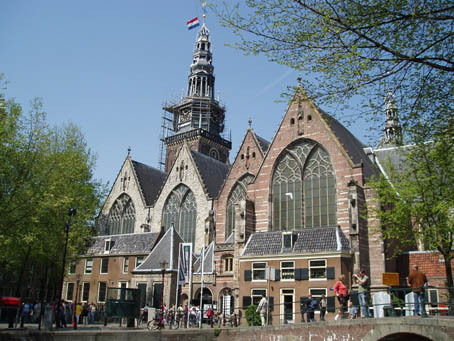 The Oude Kerk or the 'Old Church' is the dominating building in the Amsterdam's Red Light District. The church has the largest medival wooden vault in Europe. Some of it's planks are dated back to 1390. The acoustics inside the church is one of the best there is, making it a popular venue for concerts.